Interested in reading about the past through the words of the people who actually lived it? A website you may not be aware of is the Canadian Letters and Images Project headed by history professor Dr. Stephen Davies at Vancouver Island University. The website describes the project as “an online archive of the Canadian war experience, from any war, as told through the letters and images of Canadians themselves…”. Comox Valley crime and punishment courtesy of the Comox District Free Press of August 12, 1937. Many people in the Comox Valley are familiar with the stands of Garry oaks that we see north of Courtenay, but did you know that Garry oaks, Quercus garryana, were part of an extensive hardwood forest in BC before the last ice age? Garry oak was named by botanist and explorer, David Douglas, for Nicholas Garry (1782-1856) who served as deputy-governor of the Hudson’s Bay Company from 1822-1835. We have a ton of new items in the museum gift shop! Our newly designed T-shirts have been flying off the racks. We are one of the few stores in the Comox Valley that has T-shirts with “Courtenay” on them. Another new addition to our stock are the fabulous wooden bangles with colourful First Nations’ designs. The 1 ½ inch bangles sell for $15 and the ¾ inch for $10 each. 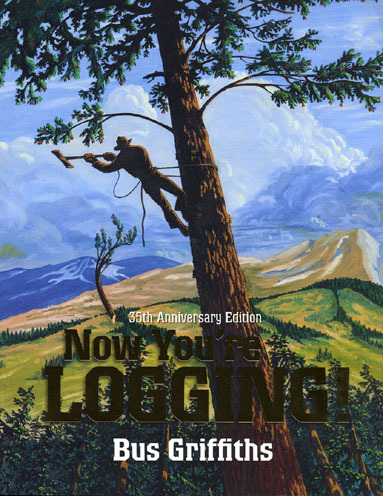 We have also just received a shipment of the 35th Anniversary Edition of Now You’re Logging! by Bus Griffiths. This really amazing book is great for anyone interested in logging history or folk art. If you have visitors coming into town make sure you bring them by to check out all the new stock. We have many gift items that travel well in luggage – everything from aprons with black bears and killer whales to a large assortment of tea towels, oven mitts and pot holders. Remember if you are a museum member you receive a 15% discount! Balloons, kids, Ducky Five Hundred participants, parade watchers and inquisitive people from all parts of the globe filled the Courtenay and District Museum to the brim and over on Canada Day. 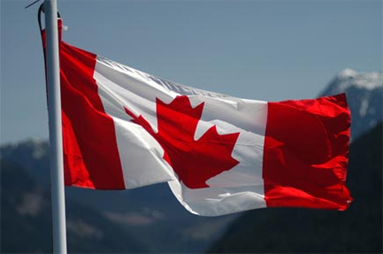 Whether people visited out of curiosity about the fabulous new exhibits, or because they needed some cool air and a great place to be, staff and volunteers greeted people with door prizes, terrific music from the Wire Choir and loads of Canada Day crafts for young people. Harbour Publishing has just produced the 35th Anniversary Edition of Now You’re Logging! by Logger, Author, Artist, Bus Griffiths, who passed away on September 26, 2006. As one of Canada’s most important chroniclers of logging history, he left a generous legacy, made even more accessible to future generations by the Griffiths family. In August, 2003, the Griffiths family, with generous support from the Truck Logger’s Association, donated 125 original storyboards and sketches created by Bus for his book Now You’re Logging!, along with the copyright, to the Courtenay and District Museum. With this third edition of Now You’re Logging! the Board and Curatorial Staff of the Courtenay and District Museum extend our thanks to the Griffiths family for their generous donation, to the Truck Logger’s Association for making it possible and to Howard White and Harbour Publishing for their support, from the beginning, of Bus Griffiths’ preservation of a time and place in Canadian history. The CDM’s Summer Day Camps for kids delve into discoveries through fun and educational activities, behind the scenes exploration and exciting field trips. During each three day camp, kids can learn all about how the Earth works, ancient prehistoric life forms and fossils and natural resources. Let your kids discover their passion for the natural world this summer at the Courtenay Museum! Welcome to the Courtenay Museum – New Video!